Below please find resources for students who wish to join Aikido of Madison as well as resources for current members. Click here to pay online via PayPal or credit card. You may also pay dues via cash, check, money order or automatic bank draft. In the event of a hardship, please talk to John or Robin Sensei about modified payment arrangements or scholarship opportunities. For questions or details, please contact AOM via the online contact form. Click here for a list of membership dues and incidental fees. If you’re ready to join today, please download and complete the required paperwork linked below. If you don’t have access to a printer, no problem! We have printed copies of the required paperwork at the dojo. PLEASE NOTE: New, returning or transfer students all fill out the same paperwork. 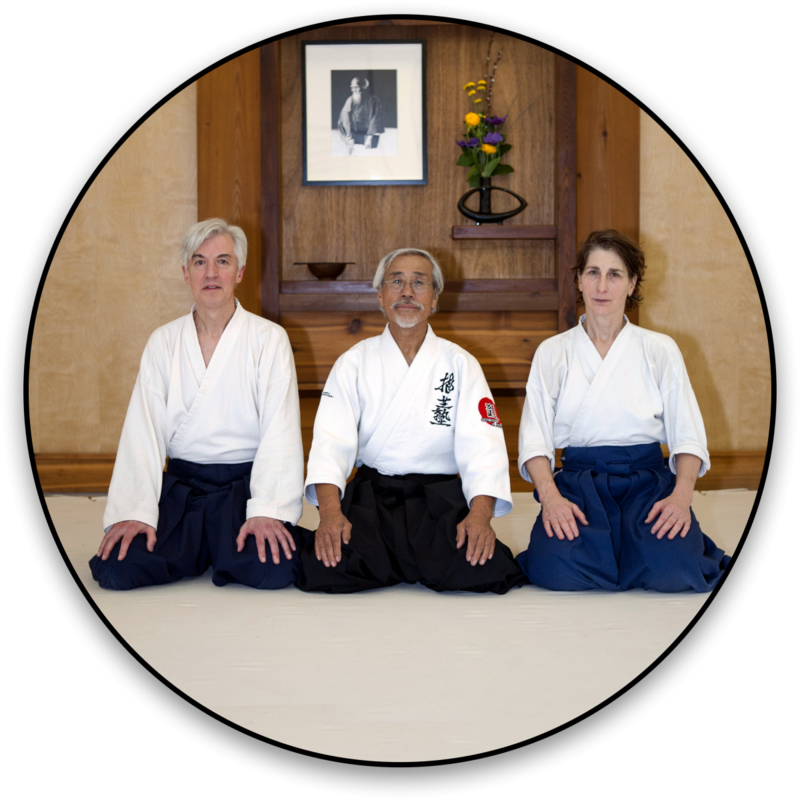 Click the link below to download and view the requirements for kyu testing at Aikido of Madison. PLEASE NOTE: Any student applying for a kyu promotion must be an ASU member in good standing. In order for you to be eligible to test, you must have completed the required hours of training and you must have been training consistently for the number of months specified. You must also gain the consent of your instructors. Click here for testing requirements for ASU dan ranks (black belt ranks). Attending seminars is an important part of of an Aikido student’s training. Visit the Events page for a list of upcoming seminars. Click here to read the most frequently asked questions (FAQ). If you still have questions after reading the FAQ, feel free to contact AOM with any additional questions about joining our dojo.